Can you spot NASA's InSight Lander? 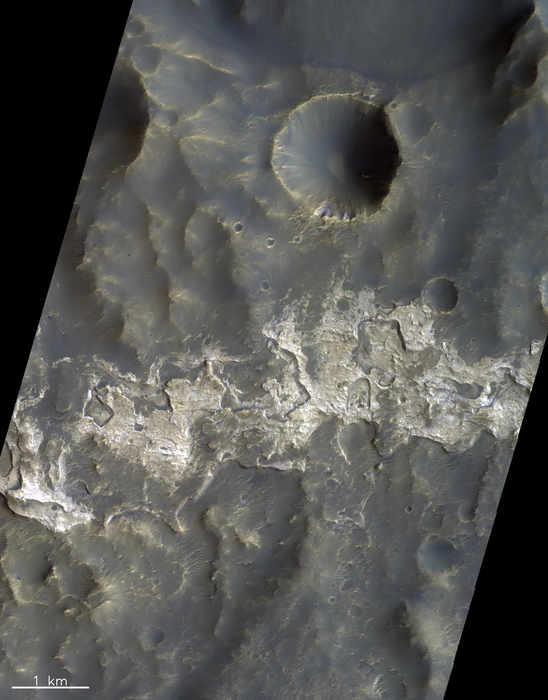 The European Space Agency’s (ESA) ExoMars Trace Gas Orbiter, which launched in 2016, just sent back some spectacular images of the Martian surface. 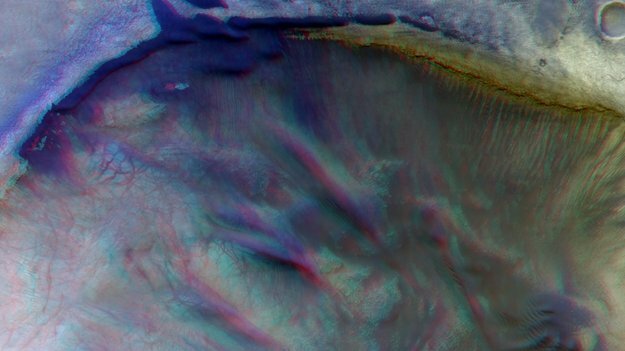 The orbiter is equipped to take images of the Martian surface in glorious 3D. 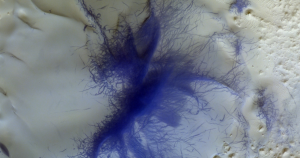 The picture below shows the Columbus Crater on Mars’ southern hemisphere — which NASA discovered that sulfate particles contain hydrated minerals. Another amazing shot: a pic of NASA’s InSight lander hammering away at the Martian surface earlier this month. It’s the first time a European orbiter has taken a picture of InSight — though NASA’s own Mars Reconnaissance Orbiter spotted InSight from orbit in December. 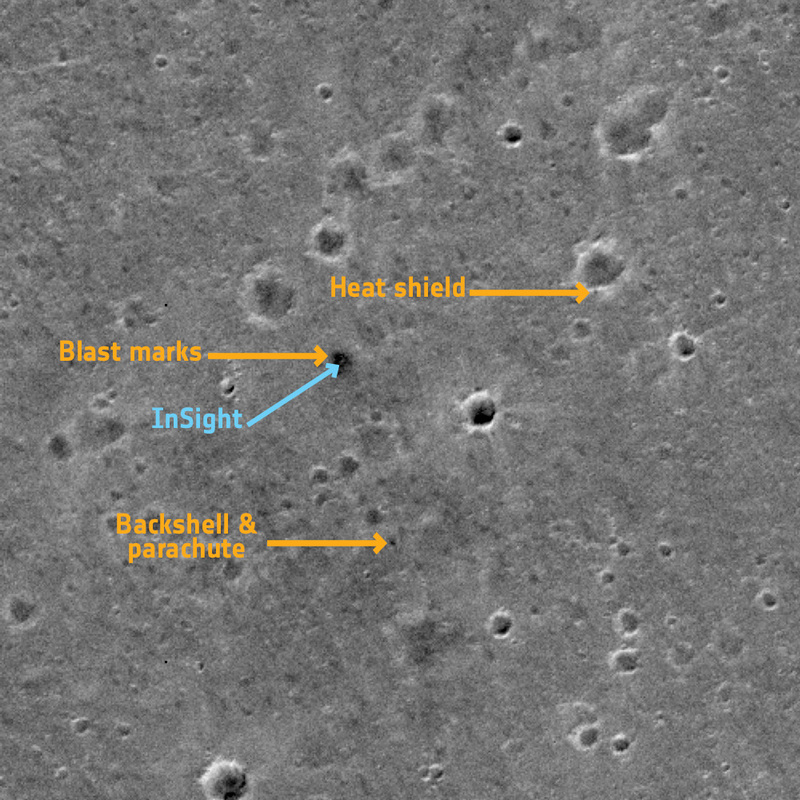 InSight’s heat shield, landing parachutes protective shell can also be seen as small dots. 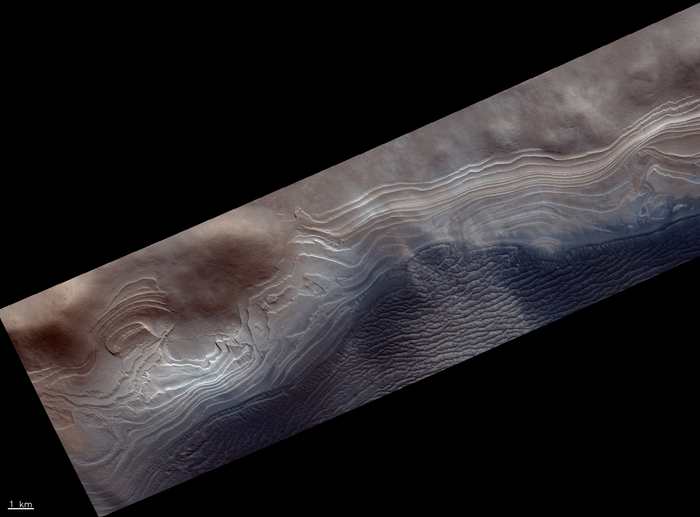 A stereoscopic image shows dust devil streaks, in blue, on the edge of a massive crater. Throw on a pair of basic 3D glasses to appreciate the full effect.